A line of severe storms brought rain, hail, high winds and funnel clouds to North Texas Saturday. One confirmed tornado was reported in Comanche County, two miles northwest of Sidney, but no damage was reported. Wall clouds and funnel clouds were reported in several North Texas cities Saturday night. 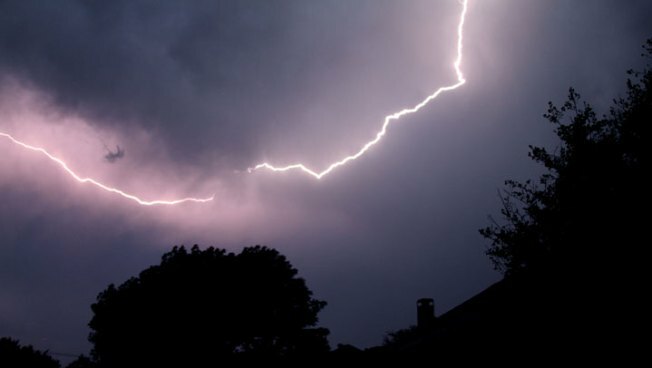 Late in the night as the storms collapsed, high winds -- including some gusts up to 70 mph -- prompted the National Weather Service to issue a Severe Thunderstorm Warning for Tarrant and Denton County. Power outages were reported in Fort Worth, Flower Mound, Grapevine, Bedford, Colleyville and Lewisville. Those cities also reported tree limbs downed by the high winds. Sunday afternoon Oncor Energy Delivery reported more than 5,000 people in the Dallas-Fort Worh area were without power because of the storms. North Texans should prepare for round two of storms in the evening on Sunday. Sunrise services for Easter should be unaffected and the high on Sunday is expected to be 84 degrees. Storms are also expected Monday and Tuesday.